Micromax launches two new Android phones in Indian market - the 6" phablet A119 Canvas XL and the peculiar 4.5" A94 Canvas MAd, which lets you earn money by watching ads. Priced at Rs 13,990 ($230), Canvas XL will be exclusively available on Homeshop18 website and TV channel starting today. The device will be delivered without any shipping charges. 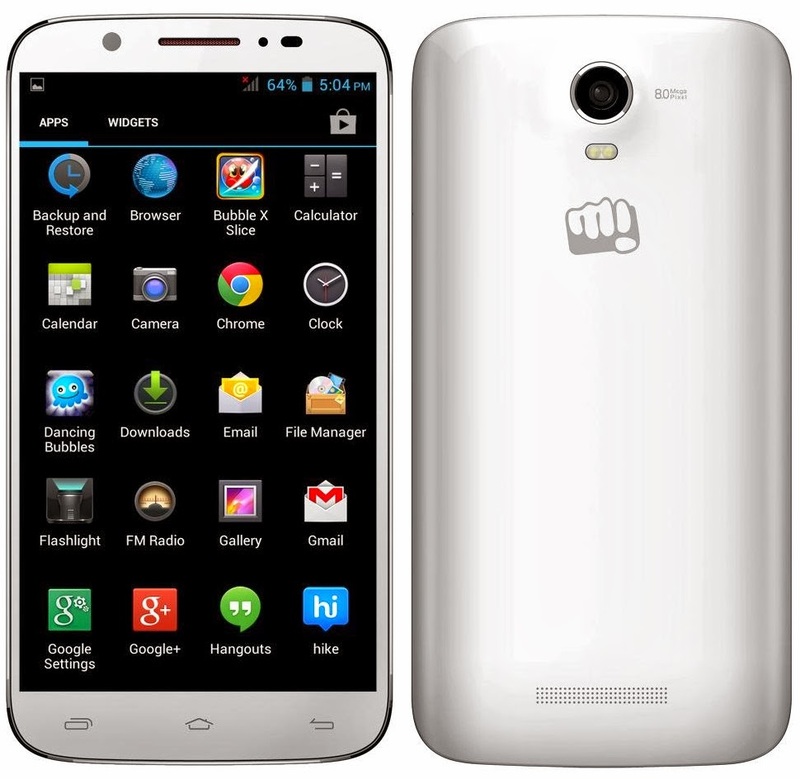 Micromax A119 Canvas XL features a 6.0-inch qHD 960×540 TFT display and runs on a quad-core 1.3GHz Cortex-A7 processor. The rest of the specs include an 8MP rear and a 5MP front cameras, dual-SIM support with 3G, Wi-Fi, FM radio with recording, and a 2,450 mAh battery. The Canvas XL runs Android 4.2 Jelly Bean, which will get some Micromax-specific apps. The device gets its juice from a 2,450 mAh battery, which the company claims can deliver 9.5 hours of talktime. These days’ manufacturers seem to be breaking the 5-inch display barrier with great regularity. The phablet seems to be Micromax’s answer to upcoming Sony Xperia T2 Ultra and HP Slate 6 VoiceTab devices. But it remains to be seen how this phablet fares in the market already flooded with so many options.